Taking notes the old-fashioned way. The Archive is the new best plain text notes app for the Mac, and a perfect alternative to nvAlt. If you love Notational Velocity and its spinoff, nvAlt, but hate using abandonware, then The Archive is for you. Don’t worry: The icons on the left can be made much less ugly. The Archive is for taking notes, and for searching notes. That may seem obvious, but both of these functions are equally important. In fact, you do both tasks the exact same way. 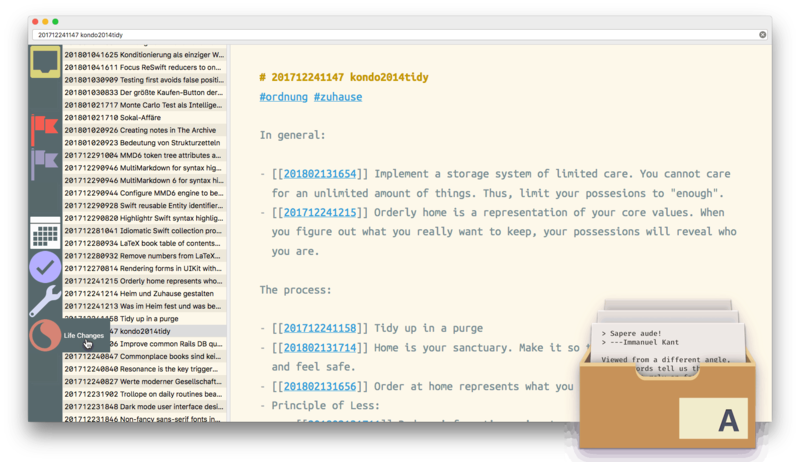 With The Archive open on your screen, just click into the universal bar at the top of the window (or type Command L), and start typing. Any notes that match your search will show up (the search matches titles and contents). You can move through the results using the arrow keys. But if you want to create a note, just type a new name and hit Enter. This universal bar, then, is used both for search and for note creation. For instance, say you’re interviewing dog walkers to take your bulldog, Rocky, out for a stroll each day. Type Dog Walkers into the search bar. If you made the note, it will come up as a match, and hitting enter will open it. If that note doesn’t yet exist, tapping enter will create it. You can then type its contents. Once you have tried this it’s hard to go back to any other method. The Archive stores each note as a separate plain text file, in the folder of your choice. This means that your notes can be opened, read, and edited by pretty much any app you like. The Archive seamlessly takes over your nvAlt directory, and if you keep the folder of notes in Dropbox or iCloud, you can sync with notes apps on iOS. I like 1Writer, for instance, but there are many more. Despite using plain text, The Archive can do some clever tricks. It uses Markdown, for instance, so you can add links and text styling to your notes. And it also supports tags. This lets you tag your notes just by adding a #tag anywhere in the text. Then, in future, you can click on a tag and be shown all of your notes which contain that tag. It’s a great way to collect similar notes together without having to invent a hierarchy of folders to do it. You can also link directly to another note just by typing its name, and enclosing it in double brackets. The name then turns into a clickable link that opens the target note. The Archive also supports saved searches. These can be as simple or complex as you like, but once you have added one, it is listed over on the left side of the app, and clicking it instantly returns a list of all files matching the search. There’s more to The Archive — customizable themes, a system-wide quick-entry box — but its focus is quickly creating and finding notes, and also buildings relationships between those notes. 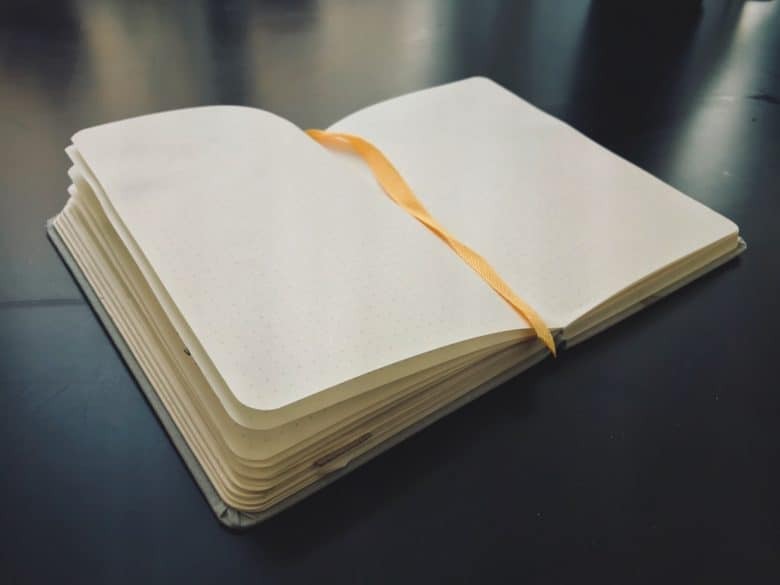 It was designed as a way to implement a note-taking system called Zettelkasten, but works beautifully for any note-taking scheme you’ve concocted. I’m convinced. I loved nvAlt, but the lack of updates, and the lack of decent text-tag support, have left me searching for an alternative. Now at last I’ve found it. The Archive is €20, but you can download a sixty-day trial to check it out. Not that you’ll need it. I was hooked in sixty seconds.